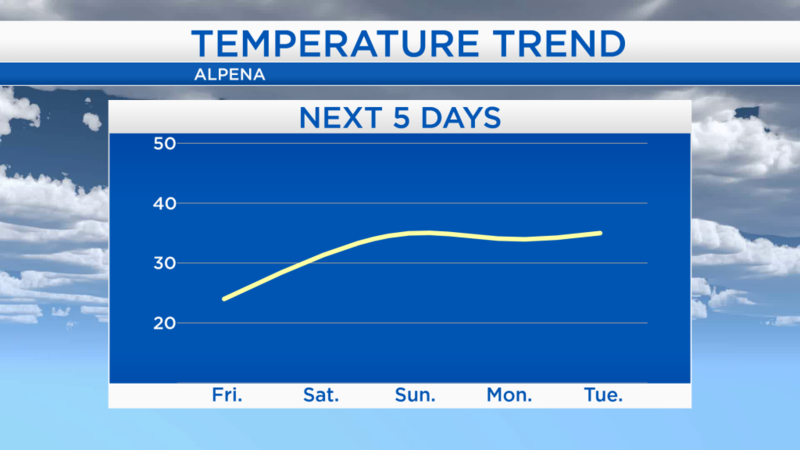 A cold front as moved through Northern Michigan, and temperatures have fallen from a high of 30 degrees in Alpena, reached midday, to the mid-20s around sunset. Temperatures will drop to the lower teens overnight. The cold front brought widespread snow showers this morning and early-afternoon. 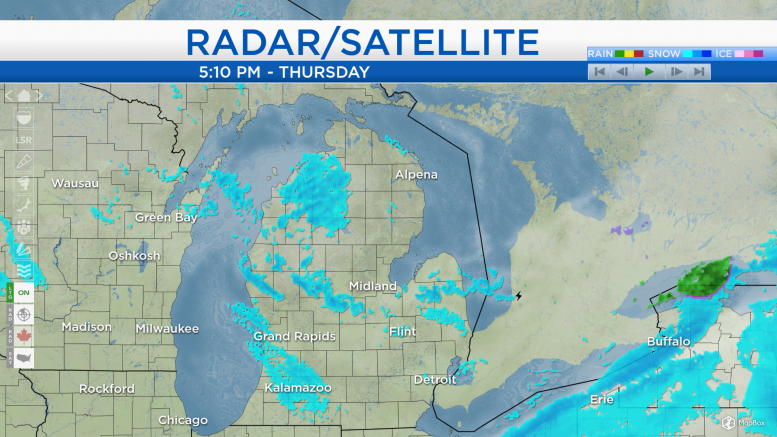 Since then, winds have shifted out of the northwest, causing lake effect to developed off of Lake Michigan. The majority of the lake effect snow will remain to our west, but an isolated flurry or two is possible tomorrow. Overnight low temperatures will drop to around 13 degrees, then reach around 15 degrees tomorrow morning. 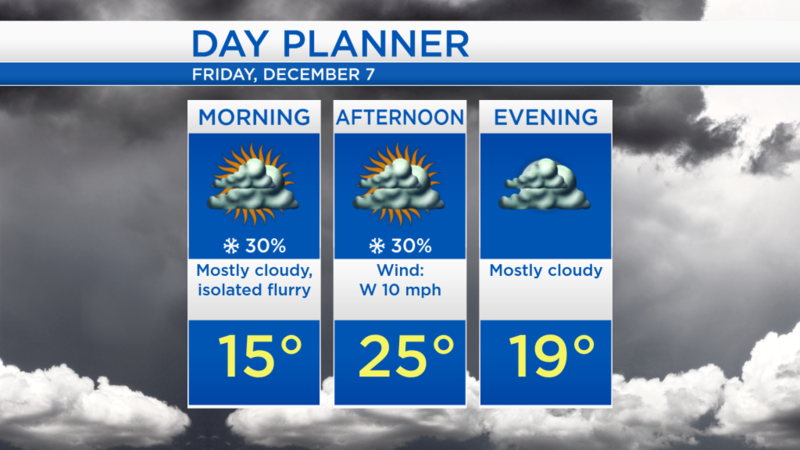 Highs tomorrow afternoon will reach the mid-20s under mostly cloudy skies and a small chance of isolated flurries. The colder temperatures will last for only one day, then temperatures will warm to around 31 degrees on Saturday, and further into the mid-30s Sunday through midweek. Colder temperatures are currently entering Northern Michigan, and will last through tomorrow. Skies will become brighter this weekend, a mix of sun and clouds is expected on Saturday with early-morning temperatures starting in the mid-teens and afternoon highs reaching the lower 30s. For Sunday, high temperatures will warm to the mid-30s with mostly sunny skies, and dry weather will continue into early next week. For the rest of Northeast Michigan’s weather forecast, watch the latest weather video by clicking the weather tab at the top of the page.